With the new innovative heart rate scanner and fall detection sensors, Apple Watch Series 4 is not just a fitness companion, but a potential life-saving smart wearable. The Watch Series 4 was unveiled along with the iPhone XS, XS Max and XR series, but the former turned out to be the show stealer of the Apple Special Event in September. Well, for me, it wasn't a surprise at all. Prior to the product launch, I had been using the Watch Series 3 LTE version for more than three months and was impressed with its features. As days passed by and got closer to the Apple fall event date, rumours started to emerge the company might bring a new generation smart wearable. I pondered what more can Apple do to make the new model a worthy upgrade. Finally, the D-Day came and as the keynote presentation began with the introduction of the new Apple Watch Series 4, I was really impressed with the sleek design, big internal hardware upgrade and the value-added features—ECG read-out & Fall Detection. Four weeks ago, I finally got my hands on the new Apple Watch and have to say, the hype is real. The new Watch Series 4 comes with lozenge design language similar to the predecessor, but it is more curvaceous, slimmer and visually appealing. Though the dimensions of the Watch have increased by very negligible terms, the display can now show more information than ever before. It has an edge-to-edge screen and Apple has fully made of the use of the extra space and managed to tuck in eight different complications in a single watch face—Infograph. The watchOS 5 allows users to personalise the watch face; he/she can add their favourite app shortcuts, world clock, temperature, quick dial, Walkie Talkie and more. Also, the newly introduced live wallpapers vapour, liquid and fire look so beautiful on the wide screen and this has made me addicted to constantly check the time. 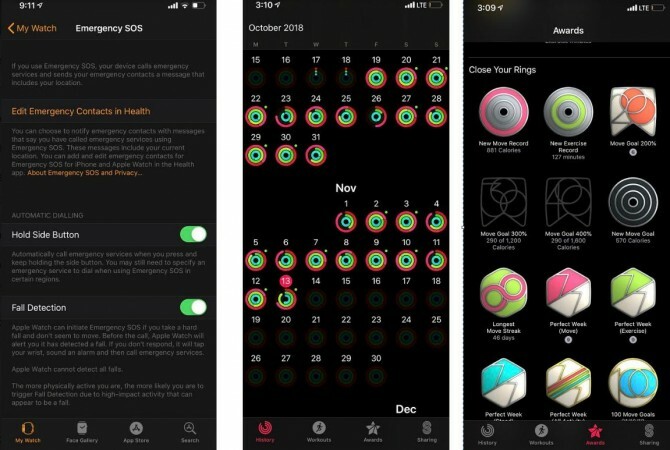 With Apple Watch Series 4, users can also even read news stories on the screen. If your friend shares a news or hypertext link, you can go to the source and read right on the screen. Even the Memoji and Animoji sent through text messages also work flawlessly. Apple has also made thoughtful design changes by pushing the side button into the watch. In the predecessor, it used to protrude a bit outside. Also, the company has added a simple red ring on the crown to differentiate between LTE and GPS only models, whereas the 2017 model had an in-your-face bright red-hued crown. Another noticeable change is the mic between the crown and the side button. It registers the voice perfectly and the person can hear it without much fuzz. Even the speakers are louder and clearer than before and you don't have to put wrist near the face to hear it clearly. Like the Watch Series 3, the successor to comes in two variants-- top-end stainless steel case with Sapphire glass on top and aluminium case with Ion-X glass on top. Underneath, the base is covered with Ceramic and Sapphire. Mine is the latter and I could not test its sturdiness. But, going by the experience of using the Watch Series 3 (review), I trust the successor too, has a solid glass cover that can take daily wear and tear. It can withstand other elements too, be it the particulate dust, which can be wiped off with the hand, rainwater and even taken out for a swim, as it can sustain water pressure up to 50 meters. If you have been under water or played in the water amusement park for too long, you can take out the liquid, which might have managed to slip through the tiny gaps such as the speaker. Just swipe up the screen and tap the water drop icon and do as suggested on the screen—turn the crown to unlock and eject the water. It's as simple as it gets. Talking of the crown, it comes with haptic feedback. This means when you rotate it, you can feel and hear the turning of the crown while scrolling features on the screen, increase/decrease music volume. It gives an authentic mechanical feel of an analogue watch. Apple's watchOS user-interface is one of the easiest to master even for a newbie. It took me just a few minutes to set up and connect the Watch Series 4 to the iPhone. Once paired, you can leave the phone behind and go on a jog or even office without worrying about the calls or messages, as you can do everything and more with it like a standalone mobile device. The activity alerts are the best. It won't leave you to sit idle for more than 50 minutes and if you happen to have burned lower calories than average; it will notify you to take a walk. Also, during the night if you haven't been able to finish all activities, it will again subtly nudge you to complete the task by suggesting you take an outdoor walk for some minutes. Also, the new Watch Series comes with sensitive sensors to detect accidental fall. It is actually disabled by default for people aged below 65. But, it can be activated by going to the Apple Watch app on the companion iPhone and go to Emergency SOS and activate the 'Fall Detection'. I tried my best to fake the fall on my bed, but to no avail. 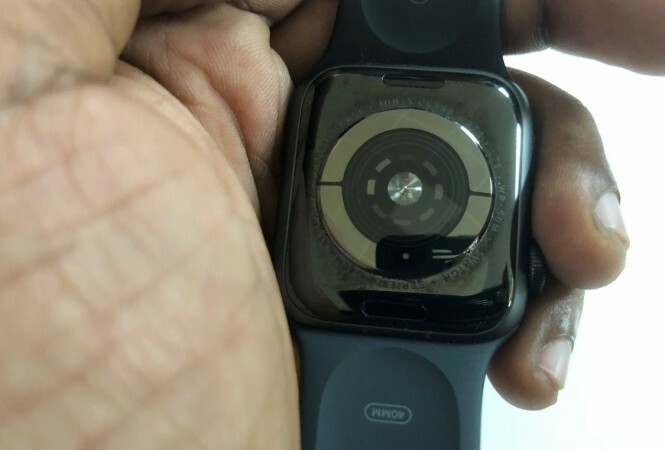 Maybe Apple Watch Series 4 is intelligent to detect fake falls, as the sensors can make out I fell on a soft surface and for obvious reasons, the body will bounce more compared to the hard surface. However, I have read reliable reports that the Fall Detection feature saving lives already in global regions and I believe in Watch Series 4, as you should too. The Apple Watch's heart rate sensor capability is legendary in the mobile technology sphere, as it has saved hundreds of lives directly and even led to the diagnosis of the previously unknown condition in the owner. With the Watch Series 4, Apple has gone a notch up by incorporating new electrical heart sensor that monitors heart rhythm through the day. It can detect both high and low heart rate and alert even when the consumer doesn't feel any physical symptom. It can also pick up rapid abnormal heartbeat rhythm caused by 'atrial fibrillation'. For those unaware, atrial fibrillation is an irregular and often rapid heart rate that can increase the risk of stroke, heart failure and other heart-related complications. Apple Watch Series 4 can even do ECG (Electrocardiogram) readouts and convert it into PDF format, which can be shared with the doctor to add value to the diagnosis. Unfortunately, this feature is restricted to select regions. No other rival tier-1 brand offers this feature. Even the India-bound model has the same hardware, but Apple has not received the necessary government approval just yet, but once they do get it, the ECG read-out feature will be enabled with a software update. I was a bit sceptical about the live wallpapers on the wide-screen, as it might drain the battery. But, I now stand corrected. The Apple Watch Series 4 no matter what functions you do, be it calling people, do workouts with timers on, or read notifications on the screen, it constantly delivered a full day's battery life. Its all because of the new Apple S4 dual-core processor, which is said to be more power efficient and also two times faster than S3 CPU of Watch Series 3. Even the W3 wireless chip to consumes less energy to maintain connectivity with Bluetooth earphones. Apple had done a remarkable job with the feature-rich Watch Series 3 LTE and the company has taken it a notch up with the successor. While using the 2017-model, I wondered what else Apple can add to make the Watch Series 4 better. Well, Apple has achieved it. The new super slim Watch has a bigger display with almost the same dimensions as the predecessor and offer more information and perform more functions than ever before, yet deliver the same battery life as the latter. Yes, one-day battery life (18 hours of active hours) has its limitation, as it won't be able to track sleep, which the lesser priced fitness trackers do. Having said that, it's too fanciful of us, to expect so many things from such a compact device; it already out-performs in more important functions such as fall detection, heart-rate scanner and more, than them on so many levels. Right now, Apple Watch Series 4 is the closest to the perfect smart wearable compared to any other rival brand in the market. The wellness features such as stand up alert, Breathe app and more are unmatched. It also comes with an electrical heart sensor, which can do ECG (Electrocardiography) readout and put it in PDF format, which can be shared with the Doctor. 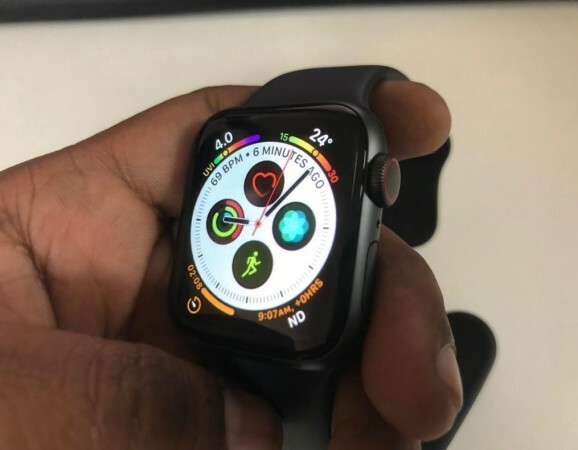 It's really an interesting feature, as millions of people, particularly in India suffer from heart-related ailment can make full use of the Apple Watch Series 4 any time of their convenience and not have to get an appointment in Hospital and wait in line for the check-up, every time to get an ECG report. Hopefully, Apple gets the local health agency's nod and we could test it here in India. As of now, Apple has got approval from FDA and would soon be activating the ECG feature via software in the US. With so many world-class innovative features, you won't regret buying Watch Series 4 even if its tad expensive compared to others. It has got our stamp for approval. • Wish there was sleep tracking feature and going by the Apple's progress made in the Watch Series 4, I believe the company can do it in the successor. Apple offers the Watch Series 4 in two sizes, 40mm and 44mm with prices starting at Rs 40,900. The company also offers The Nike+ edition, which comes with the almost same features as the original Watch Series 4, but differ in certain aspects such as pre-loaded apps and watch faces. There is also high-end stainless steel case-based Apple Watch Series 4 edition. It also comes in 40mm and 44mm size with sport and Milanese Loop bands with prices ranging between Rs 71,900 and Rs 81,900 (full price details below). Interested consumers can buy the new Apple Watch Series 4 on Flipkart and authorised Apple reseller stores across India starting today. Retail stores (online and offline) in collaboration with partner banks are offering cash backs and lucrative EMI offers. In India, only Airtel and Reliance Jio offer the eSIM support for Apple Watch Series 4. The latter will be the only service provider to offer eSIM even for pre-paid subscribers.